Nigel Bennett has sent us details of his Austin Healey 'DP1769' that has had a period Ruddspeed conversion in 1962. 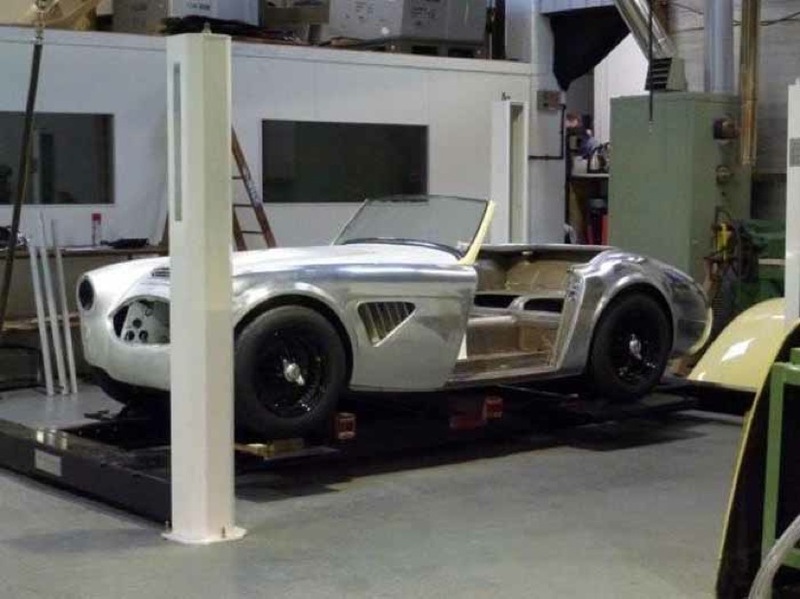 The car is an Austin Healey 3000 MK1, 2 seater, 7/4/61, Primrose, chassis HB7-13575, Dunlop disk brakes front and rear, bespoke all aluminium light weight body, RHD UK car, chassis and engine numbers matching. This car competed with and against John Chatham of Bristol as the original owner bought this car DP1769 on the same week as John Chatham bought SAL. The two cars are listed in "Mr Big Healey" page 10 as Derek Parks and John Chatham were best friends. DP1769 was very competitive in local car events around Bristol competing against the likes of Ferraris 250LM, lightweight E Type, Aston DB4 GT and always getting a top 3 placing. The car is undergoing a full restoration and we hope to have photos of the completed car very soon as he's aiming to finish the car soon.